It’s the real giveaway of a woman’s age. The deep lines and sagging skin that develop on the neck are difficult to conceal. Surgically, it is impossible to ‘lift’ the neck without a facelift, which costs thousands of dollars and can be extremely painful. 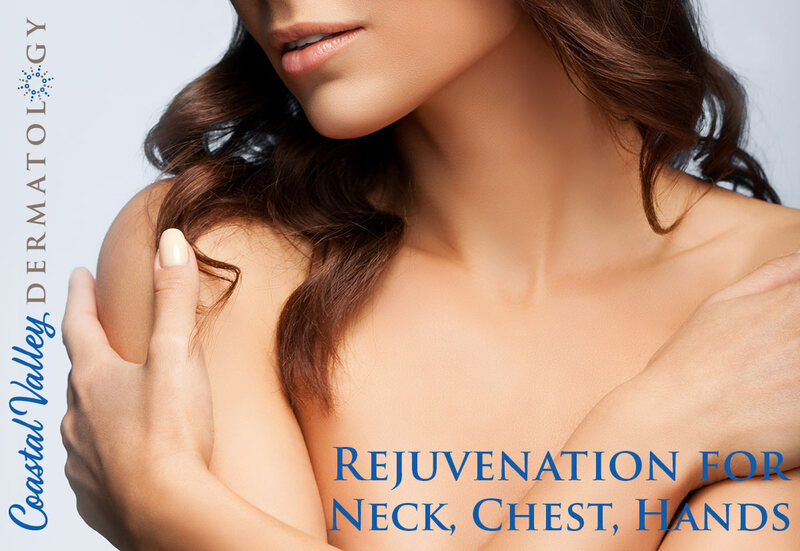 Here at Coastal Valley Dermatology, Doctor Javid uses a variety of non-surgical rejuvenating treatments for the neck. For those patients who can handle a few days of downtime, Dr. Javid performs a combination of Forever Young BBL Light and HALO Fractional Laser procedures to rejuvenate and tighten the neck area. Light and laser procedures CANNOT replace a facelift or a neck lift. They cannot achieve the results of a lift in terms of decreasing hanging skin or loss of volume. However, they will both help restore the tonicity of the skin. The skin of the neck, chest and hands is very delicate and sensitive to Laser treatments. To avoid any complications such as scarring, the Dr. Javid limits the depth and power that can be used. To achieve desirable results you will need several treatments (2 to 6 depending on the sun damage) at 4 to 6 week intervals.